It toured the world for two years with rock behemoths U2, towering above the band through 30 countries and before a combined audience of 7.2 million people. But soon, the dome-shaped metal stage structure known as “the Claw,” which stands as tall as Niagara Falls, will have a new home outside a Utah aquarium, where the sounds of blaring guitars and drums will be replaced by screeches and giggles from children eager to see sharks and stingrays. Instead of rock icons, the Claw will loom over interactive science exhibits at the Loveland Living Planet Aquarium in suburban Salt Lake City, which opened in 2014 and hosts 625 different species of animals. The futuristic-looking, four-legged structure is 165 feet (50 meters) tall and weighs 190 tons (172 metric tons). It will be the centerpiece of a planned expansion dubbed the Science Learning Campus. 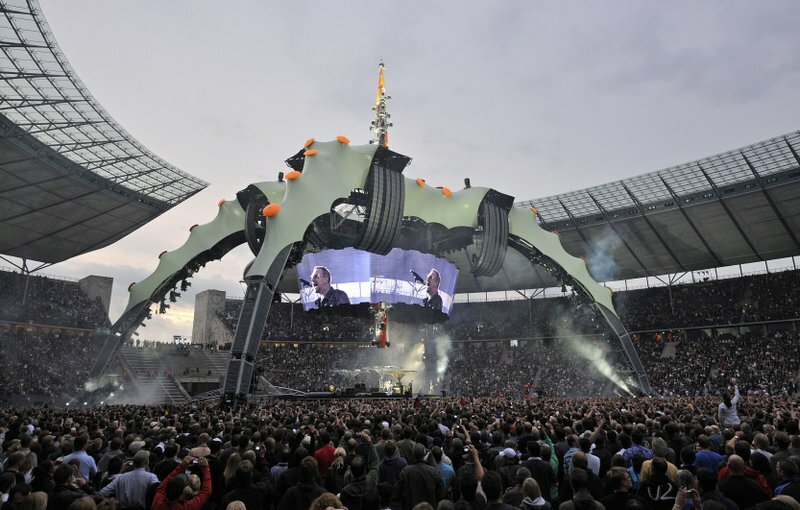 Andersen saw the structure twice during U2′s worldwide 2009-2011 “360” tour, once in Barcelona, Spain, and once in Salt Lake City. “When I first saw it, I literally stopped, and I had to take it all in,” he said. The structure sat unused for years in an East Coast storage yard after the tour ended, but Anderson envisioned it fitting perfectly into the aquarium’s design for the plaza at the center of its expanded campus. In the shadow of the Claw, the aquarium is planning interactive features that can be climbed on or played with. There also will be outdoor venues that can host movies or special events. A separate building is planned that will have exhibits, classrooms and a five-story Asian cloud forest habitat and endangered species conservation center. It’s all part of a $25 million expansion that Anderson hopes will increase aquarium attendance by as many as 40,000 people per year. Andersen wouldn’t disclose the Claw’s price but said it accounts for a “small fraction” of the overall total. Construction for the new Science Learning Campus is expected to begin this fall, with a goal of opening the outdoor plaza by next summer. The accompanying building is expected to open to visitors in 2021.